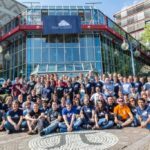 Looking back to ownCloud Contributor Conference 2016 we had lots of inspiring talks, workshops and conversations about the future of ownCloud with our awesome community. 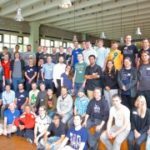 The productive and progressive atmosphere at TU Berlin brought up many inventive ideas for improvements, new features, prospects for collaboration with other open-source communities as well as visions about where our ship will be heading next. 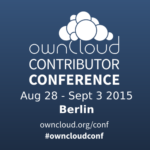 Being a community project ownCloud necessarily needs to make use of the benefits this model offers. For us openness and transparency are crucial factors for the development of secure, trustworthy and innovative software. This not only includes the publication of the source code but it also is a lot about communication, coordination and democracy. To build on the efforts made so far we strive to find ways to connect people because our experience shows that it often is the case that someone comes up with a promising idea but lacks the abilities or resources to start development. This is where communication comes into play to close the gap between idea generation and implementation to make it possible that your vision becomes part of the story. In order to realize this approach we will continue the practice introduced by our former product manager Matt Richards which we call the ‘Open Planning Process’. Until now most of the discussion around these topics happened on GitHub. 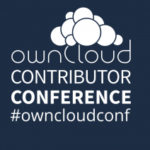 We now shift this to our community platform on central.owncloud.org to open up for a broader audience and to keep our GitHub repositories clean for structured ongoing development. Moreover we separate the long-term planning/vision process from a rolling, release-based planning process rather focusing on shorter time horizons. Create a topic for your feature wish with detailed description on Central (Category/Tag: Feature Requests). It is up to you in which of the topics you want to post your request but in order to ensure reasonable discussion and voting, please make sure to use the topic that suits best to your purpose. Furthermore it will be possible to reference to the long-term planning or to the following release-based process if your suggestion should not be included in the next release. → Existing feature wish? Please add a comment and link to discussion. → Something to add? Feel free to do so! Collect votes for your proposal and give votes to others’ (lobbying is allowed of course, even encouraged!). Discuss implementation/design with the community and organize development. Find your feature wish implemented in an upcoming release. Following our philosophy everybody is encouraged to participate in here. Your request does not have to be of a technical manner, so it is perfectly fine if you just explain what you want to do, for instance ‘I want to be able to share files to a group of people at once’. 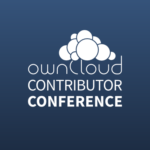 Furthermore the planning process is not limited to a particular platform (Server/Desktop/Mobile) for that you can have your voice on every aspect concerning ownCloud as a whole. Taking the perspective of developers this process will also provide useful input on which functionalities are desired by the community and should inspire you regarding the development of apps that you can offer in our upcoming marketplace subsequently. Currently we are discussing heavily about the concept and details on how we design the marketplace to best fit the requirements in order to serve as a foundation for a creative and dynamic ecosystem around the core of ownCloud that empowers you to make ownCloud what you want it to be while simultaneously motivating developers to contribute. For further information regarding the next steps please stay tuned on our communication channels. If you have features or improvements you crave it is now up to you to make your proposal! We establish a shared, visible, transparent and democratic planning process for future releases in which every voice will be heard. Our intention is to connect people and motivate collaboration, improve participation and community involvement in the planning of future releases. Therefore we use two topics (long-term/release-based planning) on our community platform Central to gather ideas, prioritize and organize development. Please find the links above and participate following the guidelines explained in this blog post.